This is the perfect accessory for the portrait photographer. The beauty dish has an internal light shield that allows bounce-only lighting. This provides high output making it a perfect soft light source for portraits. It will also provide moderate round catch lights in the eyes where a softbox will yield larger rectangular catch lights. It also comes with a front cover diffuser for softer looks. 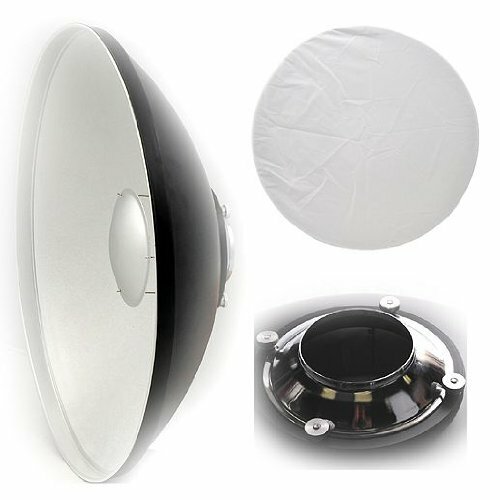 This Beauty dish is made of 100% aluminum with superior design.This beauty dish is ideal for Alien Bees monolights.